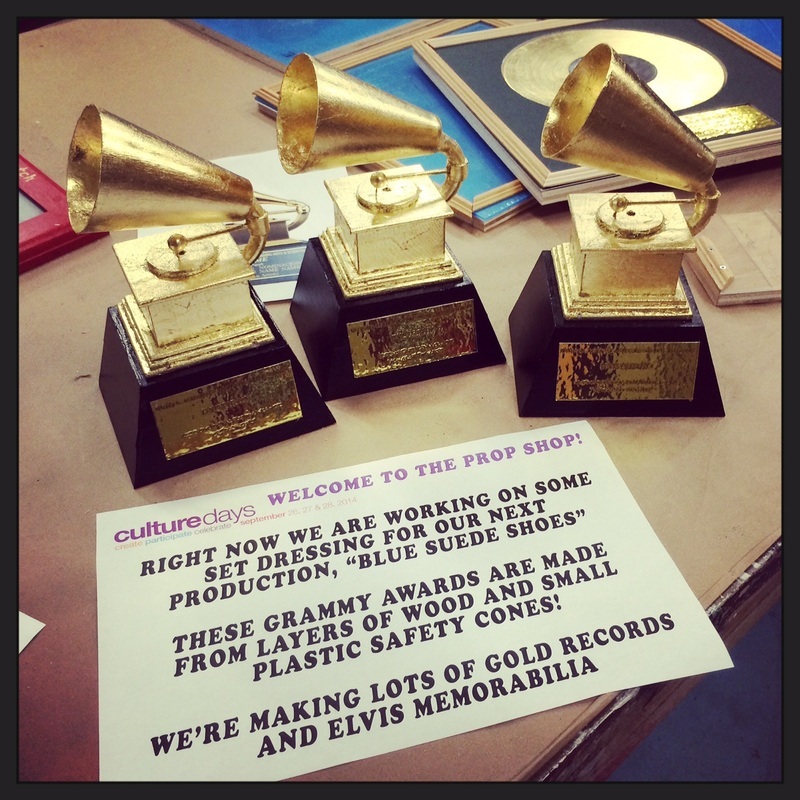 Three Grammy Awards were needed as set dressing for a show about Elvis Presley. Unlike the Academy Awards, copies of Grammy Awards are incredible rare and we were unable to find anything suitable for purchase. Instead, they were built using toy safety cones for the horns, wood for the base, and half of a curtain ring for the gramophone neck. They were then gold leafed for a shiny finish.